Raggiunti 5005 download (RSR 4797, Drivingitalia 208). 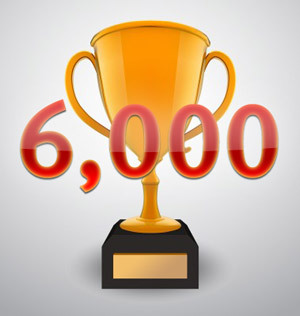 6000 downloads for Imola! Thank you very much. Sono ancora senza linea adsl, causa lavori in casa, spero di ritornare attivo lunedi/martedi. ma ci sono tutti sti utenti in nk?! Very good job with the track Mauro! There is just one thing that i would like the see fixed on the chicane variant ... people can go through the tires on chicane doing better times then the ones who actually do the chicane ... it would be nice find a way to avoid people to do that ... maybe put more tires on it ... or maybe mark it as yellow flag so it will be registered in log files. Tires have been positioned on the track just as they are in real life in some events. We just "copied" that setting. In nk you'll have a yellow flag only in case they car is on grass or sand, so if you have a kerb extension that's considered as track always, and there is no way to change that. I really hope in AC will be possible to have a better way of defining anticut zones. Andrea Lojelo wrote: Tires have been positioned on the track just as they are in real life in some events. We just "copied" that setting. But very good job anyway ... i will use for sure the FULL GP in next season ... thanks! Higher and higher! 8000 downloads. Radiator Spring Racing Team thanks you all for helping us reaching this amazing achievement: 10.000 downloads for our Imola. Congratulations to Mauro Delega' for the wonderful work he did on this track, completely created from scratch, all alone on 3d and textures. To celebrate it properly we decided to go back on track with a special event on the coming Thursday, 7 March. More information will follow.